We work with citizen scientists, trained water professionals, and the general public to find and study cyanobacteria in waterbodies. Cyanobacteria (sometimes referred to as blue-green algae) are tiny organisms that can be found in diverse environments ranging from deserts to oceans. Under the right conditions, cyanobacteria can form “blooms” on the surface. 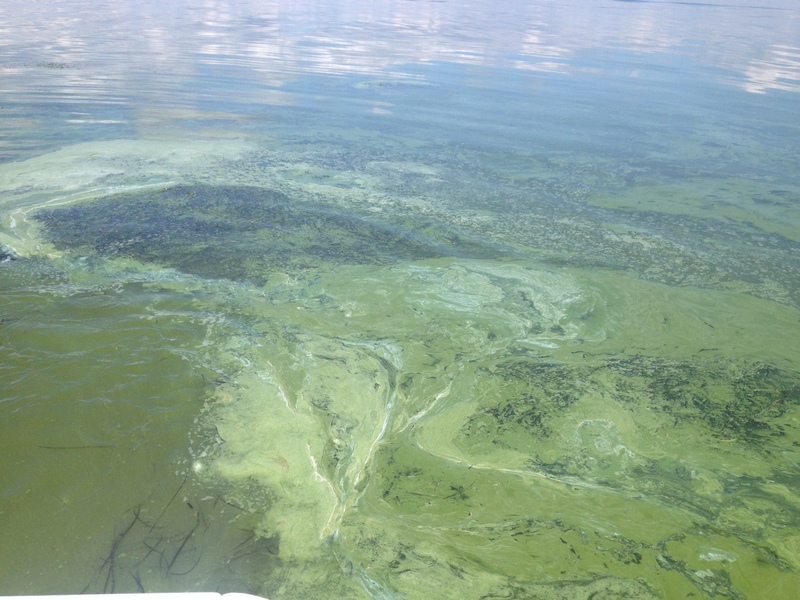 These blooms can be a problem because many cyanobacteria produce toxins dangerous to humans and wildlife. Cyanobacteria and their toxins can be found in water as well as in the air nearby. Check out bloomWatch, cyanoScope, and cyanoMonitoring to find ways you can start monitoring cyanobacteria. Engaging the public to report when and where potential cyanobacteria blooms appear. Engaging trained citizen scientists and professional water quality managers to understand where and when cyanobacteria species occur. Engaging professionals and trained citizen scientists to track seasonal patterns of cyanobacteria. The strength of our program lies in the diversity and combined expertise of collaborators like you. Don’t be shy about getting in touch!